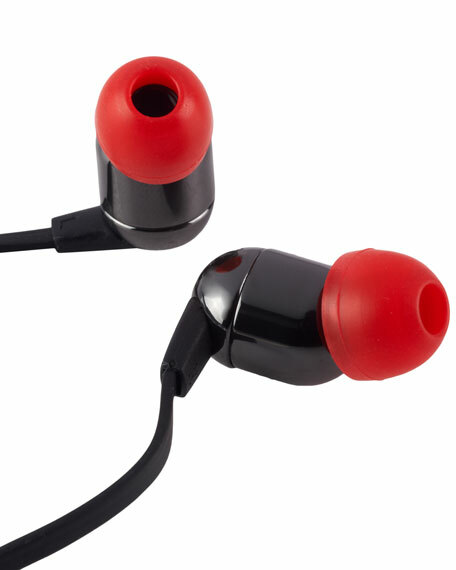 These earbuds are the ideal accessory for listening to music or talking on a mobile device. High-performance dynamic micro speakers that deliver precise audio quality for unparalleled sound are grounded in ceramic housing. Multi-function microphone/button specifically designed to work with Apple products. 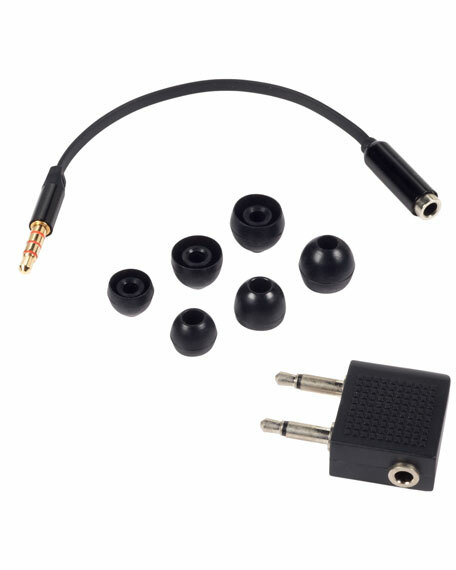 Compatible Motorola/Nokia phone adaptor. Passive noise canceling, in-ear design blocks out ambient noise. 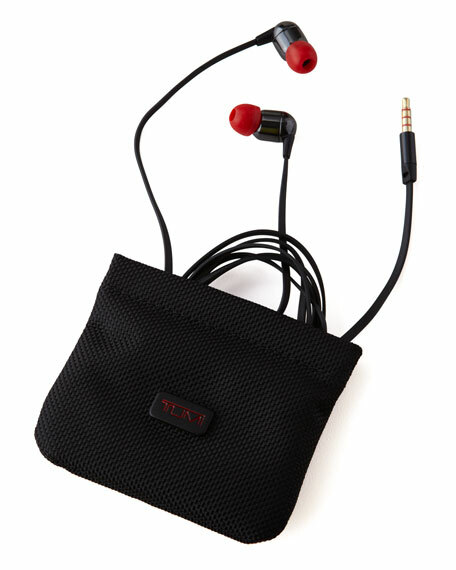 Comes with three sizes of comfort-fit tips to enhance the listening experience. Flat, tangle-resistant cords, an airline adapter, and a protective ballistic pouch included. Started in 1975 and now a leading international brand of travel, business, and lifestyle accessories, Tumi is dedicated to providing customers with an outstanding ownership experience. During the 1980s, Tumi introduced soft, ultra-functional, black-on-black ballistic nylon travel bags. Today, Tumi holds more than 25 patents for its design and engineering breakthroughs.